Cape Cod Dining Experience? Absolutely. The phrase Cape Cod dining experience may throw you a bit, who would have thought the Cape was on the bleeding edge of true foodie venues? 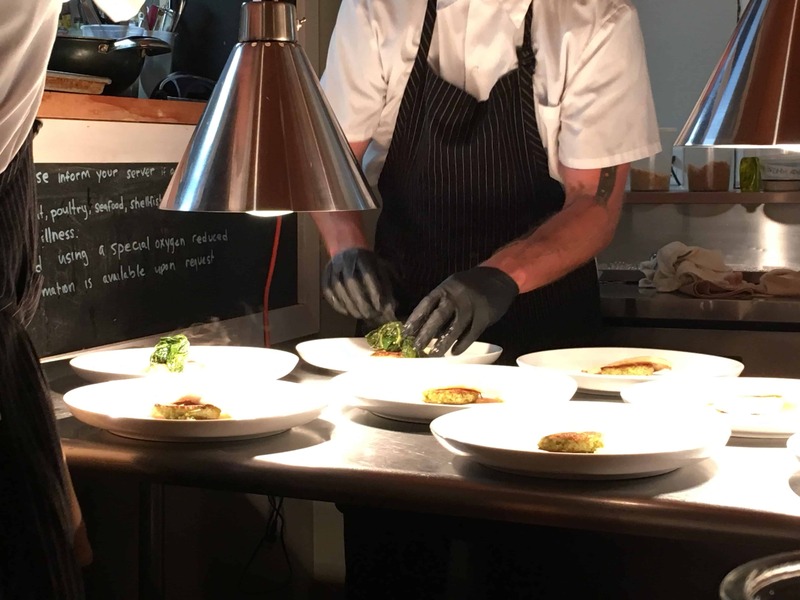 We found the ultimate dining experience at Clean Slate Eatery in West Dennis…eight minutes from the Platinum Pebble Boutique Inn! The word experience was chosen specifically because this is not just a meal, it is a production and you are in the heart of it. Three Chefs and twelve diners, that is it. 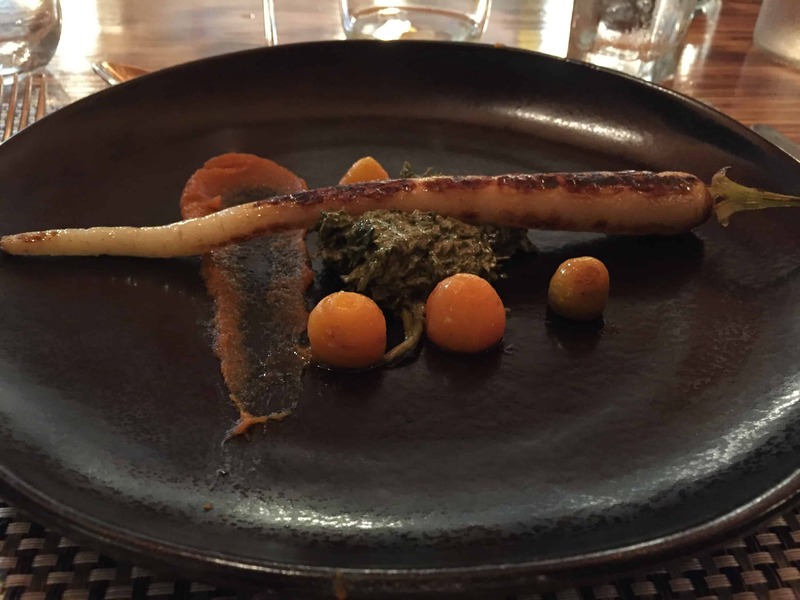 Almost all of the ingredients are locally sourced providing a true farm to table meal. You can taste how fresh it is. 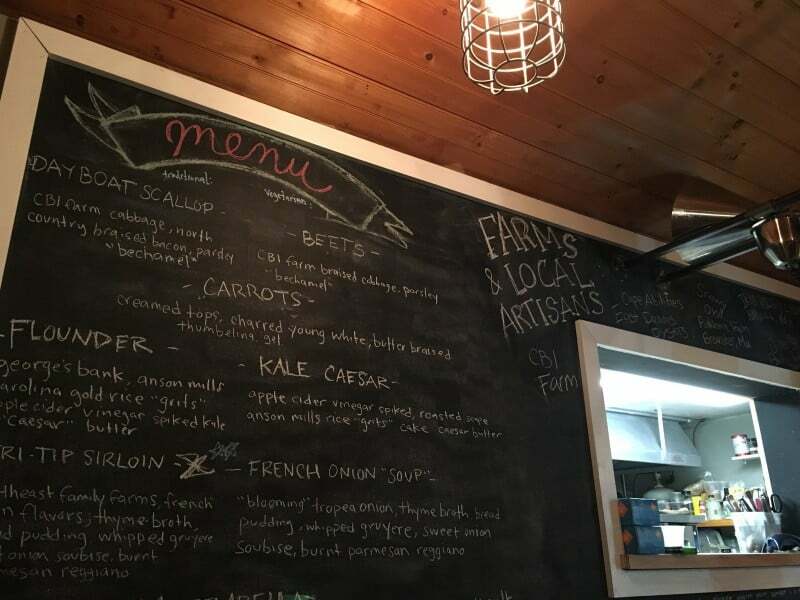 We spoke with the Chef/Owner Jason Montigel who said, “the carrots came out of the ground this morning, there’s a little crunch of dirt to prove it.” Ultimate, intimate, and ground-breaking would all be great adjectives for the experience to be had at the Clean Slate Eatery. We enjoyed an eight course meal ($65 per person + optional wine pairing for an additional $30 per person) where each course was prepared perfectly. The scallop was seared just right, the flounder was light and crispy, and the steak was tender with a nice char. The three Chefs; Jason, Bob, and Andrew should be complimented on delivering what you would expect from an ultimate Cape Cod dining experience…perfection. We detail each course below so you can get an idea of what they create but, know this: the menu changes weekly. We were told the specific meal we enjoyed would never be served again. If you want to ensure ongoing creativity and a dedication to innovation in the kitchen, that’s the way to do it. We enjoyed every minute of our ultimate Cape Cod dining experience and look forward to the next time. 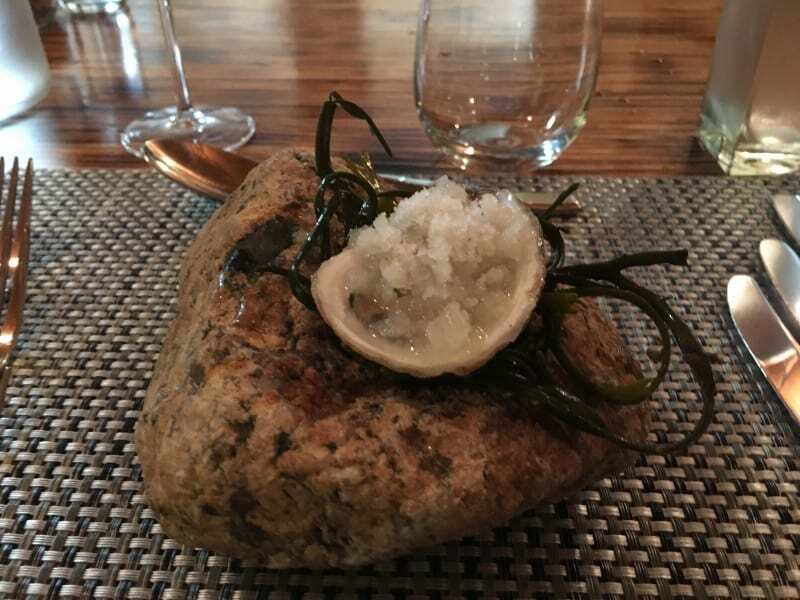 The meal began with an East Dennis Oyster on the half shell with lemon horseradish grenata, served on a chunk of granite and seaweed. Delicious. 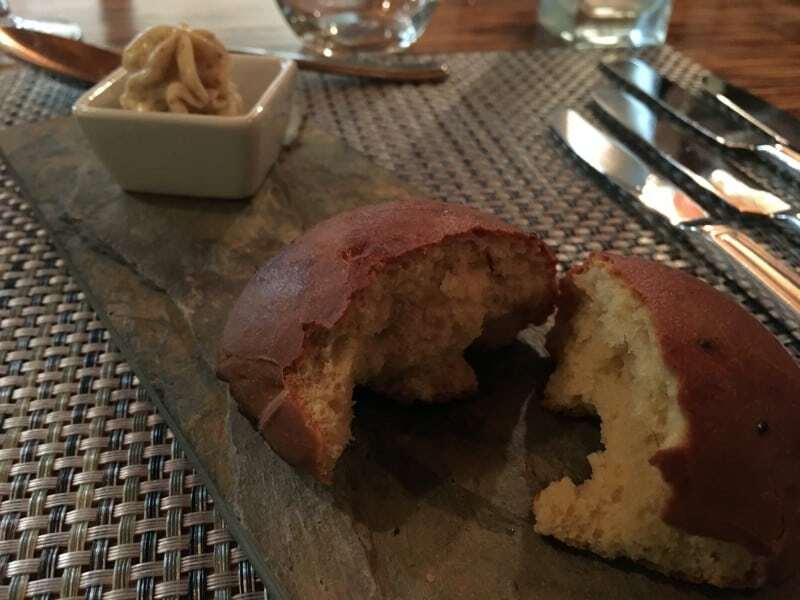 Our second course was a homemade Sweet Hawaiian Roll with whipped honey brown butter. So nice. Third course, Pan Seared Day Boat Scallop over bacon braised cabbage with parsley bechamel sauce. Even the tableware had a local lean to it, finished in Cape Cod black sand! Fourth course, Charred CBI Farms White Carrot with creamed carrot tops, thumbelina carrots over a puree of the same. 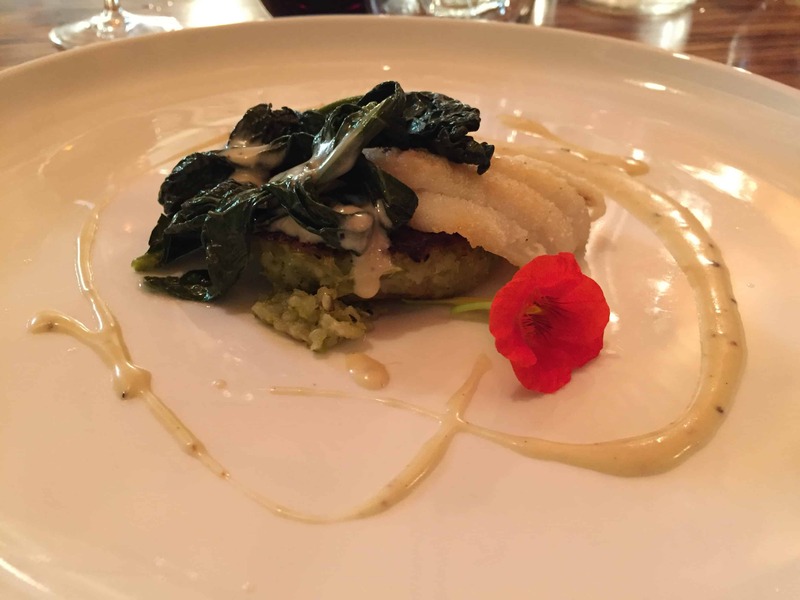 Fifth course and loving it, Seared Flounder with Anson Mill roasted grits with scapes cake (flowery tips of garlic bulb), vinegar spiked kale, and Caesar butter. 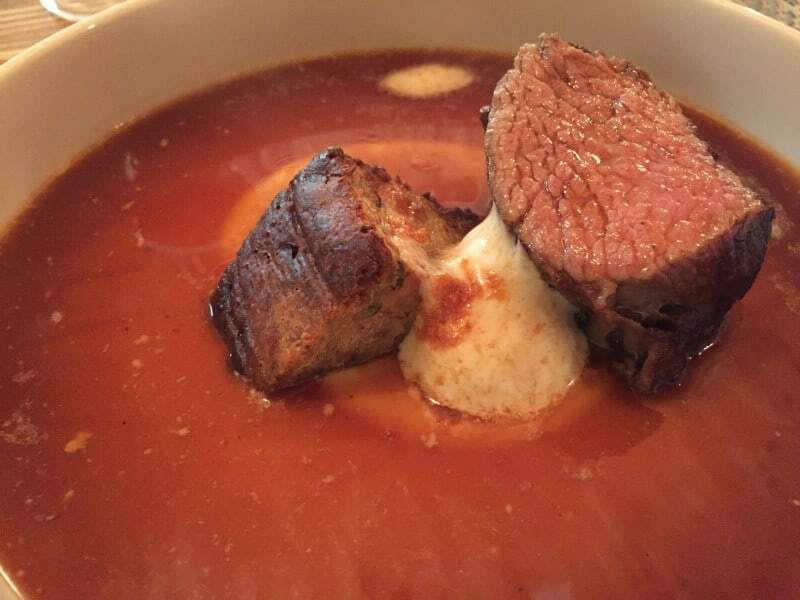 Sixth course, Steak cooked 24 hours Sous-vide with whipped gruyere, burnt parmigiano reggiano, bread pudding, in a thyme broth. 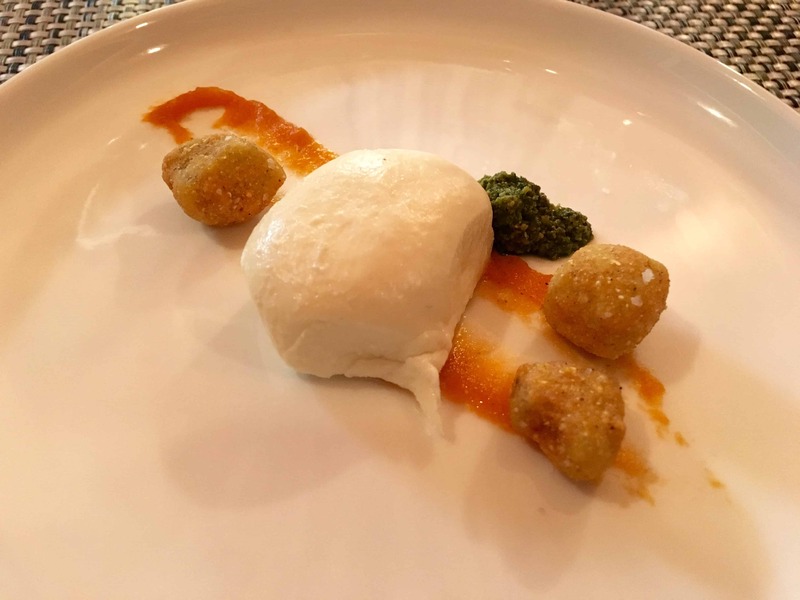 Seventh course, Fresh Mozzarella from West Dennis Village Cheese Shop, tomato jam, tomato leaf pesto, and bite-sized fried green tomatoes. Eighth course, Madeline Cake with compressed strawberries, creamy mint ice cream, and rhubarb rose. 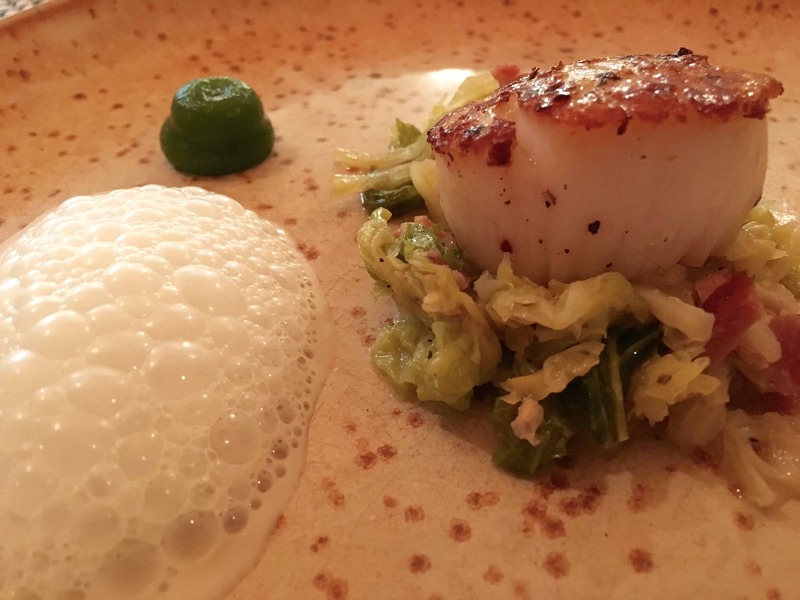 This was a Cape Cod dining experience to remember and we are excited to have them so close to the Inn. Ask about reservations the next time you stay at the Platinum Pebble Boutique Inn, you won’t forget or regret. If you know someone coming to the Cape that would enjoy this article, please share with them!